This blog goes back to December 2014, but I would like to reblog it, as I am not in Ireland at the moment – yet I like to think back of its beauty even in winter time, and reflect on it. 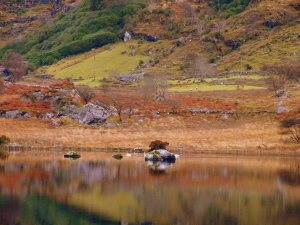 During the winter months here in West Cork the colours of the landscape change dramatically, at least I think they do. 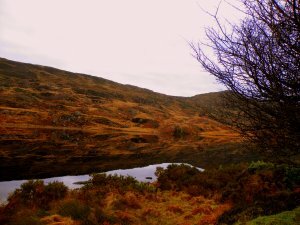 I took my photos on the Beara peninsula, near the Caha mountain range. In summer these mountains, they are not very high, look fabulously green, but come winter they turn all shades of brown, ranging from sienna, to rusts, to sepia, and even burnt umber. 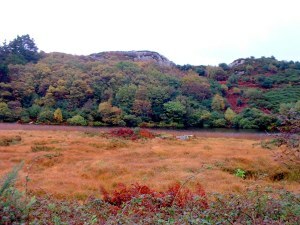 It’s the grasses and the bracken that deck the landscape in such an array of colours. It never seizes to impress me, around every corner on the road there is another palette, it’s fascinating. I'm already in love with the country…. Make you wish Vanessa, I’d love to meet you as well and you would so enjoy Ireland. Happy New Year to you and all the family. May you have a year that is filled with joy, happiness, hope, and prosperity Wishing You a Happy New year, dear Agnes! And you dear Ann, may you be blessed in everyway possible and find joy in every moment, Happy New Year! Thank you so much, dear Agnes! And to u dear Mitza, wishing you so many blessing during 2018! Happy New Year! Ja ik sta er ook elk jaar versteld van, zo mooi! It’s always fun to bring back wonderful memories. Yes for sure, thankful to have them.